Do you want to teach your students prosocial behaviors? What are good ways to teach children about sharing, caring, helping, honesty, fairness, and responsibility? One popular way is through storybooks, which have been a part of children’s lives and schooling for hundreds of years. Storybooks entertain, but they can also teach important life and moral lessons. But what are the best kind of characters in storybooks to teach children prosocial behavior? Does one type of character work better than another? Many stories for young children often contain animal characters who are anthropomorphized: they take on human characteristics and can talk, walk, eat, and get into all sorts of mischief too. A group of researchers at the Jackman Institute of Child Study in Toronto found that in a review of over 1000 children’s books, more than half the books featured animals, and only 2% were realistic depictions of the animals; in other words, 98% of the animals in over half of picture books feature anthropomorphized animals. 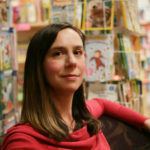 People on all sides of the picture book equation – teachers, students, parents, authors, and illustrators – all have assumed that children are naturally attracted to animals and therefore in using anthropomorphized animals, a story may be more enchanting and its lessons more accessible to children’s young minds. And the bigger assumption is that children may be more likely to act in agreement with the moral of the anthropomorphized animal story. But is this true? These same researchers – Nicole Larsen, Kang Lee and Patricia Ganea – realized in 2017 that no direct psychological or child development study had ever asked this question – are anthropomorphized animals better at promoting prosocial behavior in children compared to a book featuring human characters? The researchers realized that it was unclear as to whether children can learn prosocial moral lessons from stories with anthropomorphized animal characters and then act accordingly. The researchers designed a study to help answer this very question: Can children learn prosocial moral lessons from stories with anthropomorphized animal characters? Do stories with anthropomorphized animal characters work better than stories with human characters at teaching kids lessons? How did they study this? They first picked a book called Little Racoon Learns to Share by Mary Pacard. The book has a sharing theme and a moral lesson – that sharing makes you feel good. The story features anthropomorphized animals as the main characters. The researchers took the book and used Photoshop to create the same book, only with human characters instead. All children in the study (males and females ages 4 – 6) had a vocabulary test first to make sure that they were all at a similar language ability level. Next, the children were allowed to choose 10 of their favorite stickers from a huge pile of stickers. They were then told that there was a child their same age that could not be there that day and therefore would not get any stickers. The children were told that they could share some of their stickers with this (imaginary) child by putting them into an envelope when no one would be looking. This was the pre-test or baseline measure to get a sense of their sharing level before they heard the book about sharing. Next, students were divided into three groups of 32 children each. The first group heard the sharing story with the human characters. The second group heard the same story, but with the original animal characters. The third group, the control group, heard a story about seeds. The children in the control condition were also asked to choose between reading either a book about human characters or a book about animal characters. This question was asked to determine whether children would prefer to read the animal book or the human book when given a choice. If the argument that using anthropomorphized animal characters makes a story more captivating to young children is correct, then children should be more likely to choose the book about animal characters. I’ll cut to the chase on this one – the children in this control group picked each book equally – there was not a clear preference for the animal book over the human book. After the three groups heard the book, the same sticker sharing task was given with new stickers (post-test). The researchers measured the differences in sticker donation before and after the story reading. Again, the researchers were wondering whether reading storybooks with a sharing theme could significantly increase children’s generous giving relative to reading the control story about seeds. More importantly, they examined whether the story in the animal condition with anthropomorphized animal characters and the story in the human condition with real human characters would have differential effects in promoting generosity in young children, that is, would the children share more stickers after hearing the sharing story with animals or humans, or would it even matter? What happened? I bet you are very curious by now! Reading a book about sharing had an immediate effect on children’s sharing behavior: Children who read the book with human characters became more generous with how many stickers they donated to the fictional child. In contrast, there was no difference in generosity between children who read the book with anthropomorphized animal characters and the control book; both groups decreased how many stickers they gave. Condition Before the book: How many stickers did they donate? After hearing the book: How many stickers did they donate? Why did the researchers think this happened? Maybe children see anthropomorphic characters more as animals than humans. Maybe they are not able to interpret the anthropomorphic characters as being similar to themselves, and as a result, the lesson in the story is not absorbed. This does not mean that children should never hear stories with animal characters, but it’s important to keep this in mind. Future research future should look at whether anthropomorphism in books has the same effect on older children as on younger children as this study was done on 4 – 6-year olds. It’s fun (at least for me as a cognitive neuroscientist!) to think about storybooks from an academic perspective – maybe the assumptions we hold are not true – studying these assumptions in a systematic way can provide real answers and guidance for future generations of teachers and parents. This post was adopted from the following article should you like to read it yourself: Larsen, N.E., Lee, K., Ganea, P.A. (2017). Do storybooks with anthropomorphized animal characters promote prosocial behaviors in young children? Developmental Science, pp. 1-9. 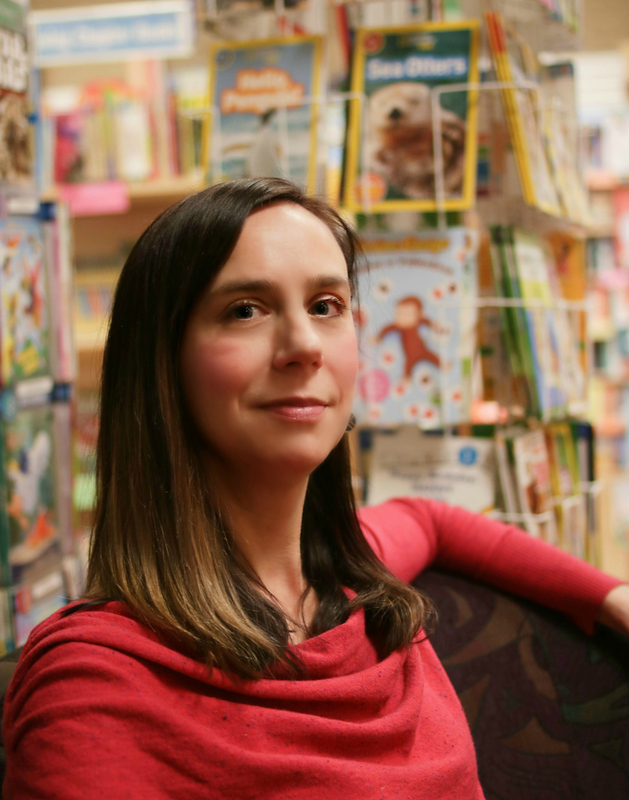 About the Author: Patty lives in Boise, Idaho with her husband, a zany awesome toddler, a dog named Pippa, and a dog named Spencer. She grew up in the Twin Cities and is a Minnesotan at heart (you betcha!). She has a BS in Psychology from the University of St Thomas and a PhD in Neuroscience from the University of Minnesota. She currently works in higher education. 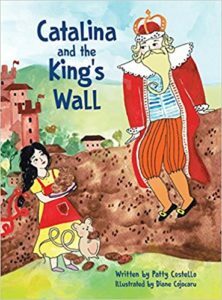 Her first book, Catalina and the King’s Wall, released May 5th, 2018 from Eifrig Publishing. At all hours of the day (and night) she can be found standing at her desk, helping her university run smoothly and working on her next children’s book. For fun, she likes to trail run, mountain bike, cross country ski, and hike. She is also a voracious volunteer for various local organizations. About Catalina and the King’s Wall: When Catalina overhears the king planning to build a wall, she fears her family won’t ever be able to visit. Catalina tricks the king into building walls that droop, drip, swirl, and swoosh away. But now the king demands an impenetrable wall. Luckily, Catalina has the perfect ingredients to bake up a family reunion! Through beautiful illustrations and enjoyable prose, kids learn how to stand by their convictions of inclusivity and kindness even when powerful people tell them not to. Thank you, Patty, for a look at this study and for sharing your book!